ANDHRA PRADESH Govt. 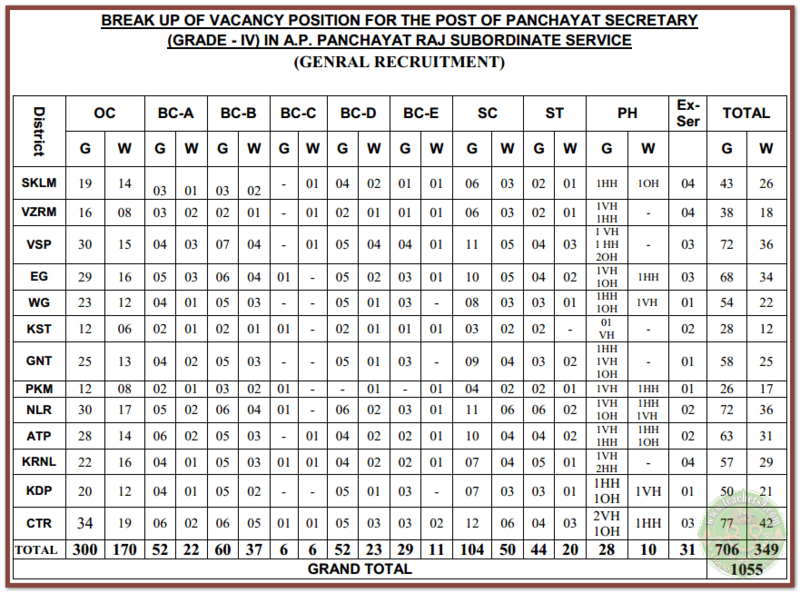 has released Panchayat Secretary Notification as 29/2016, Dt.27/12/2016. 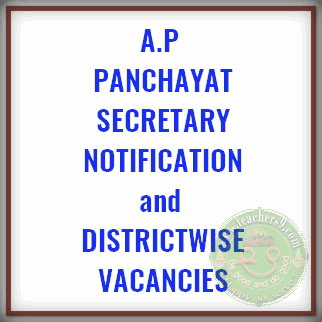 As per this notification Applications are invited On-line for recruitment to the post of Panchayat Secretary (Grade - IV) in A.P. Panchayat Raj Subordinate Service.For applying to the post, the applicant has to visit www.psc.ap.gov .in and click the corresponding link given there or alternatively use the URL http://appscapplications17.apspsc. gov .in to directly access the application. The Commission conducts Screening test in Off- Line mode in case applicants exceed 25,000 in number and is likely to be held on 23/04/2017 FN. The main examination in On-Line mode for candidates selected in screening test will be held through computer based test on 16/07/2017 FN&AN. The objective type question papers are to be answered on computer system. MOCK TEST facility would be provided to the applicants to acquaint themselves with the computer based recruitment test. Applicant shall visit the website and practice the answering pattern under MOCK TEST option available on main page of website www.psc.ap.gov .in or http://appscapplications17.apspsc.gov .in. Official notification of A.P Panchayat Secretaries is here. The complete syllabus of mains and model papers of PANCHAYAT SECRETARY EXAM will be here very soon.